"Being economically privileged and having health policy expertise both helps and doesn't help in dealing with a challenge like this." 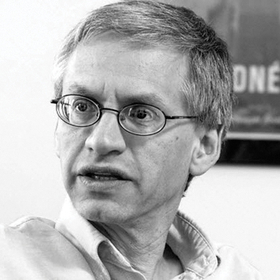 I moved to Chicago in 2003 with my wife, Veronica, and two young daughters to take a job as a health policy professor at University of Chicago. My wife had trained as a pediatric clinical nurse specialist, and had just completed her doctoral coursework and was starting her dissertation. A couple months later, my mother-in-law, Janice, died suddenly in upstate New York at age 64. She had been taking care of my brother-in-law, Vincent, in her home for nearly 40 years. 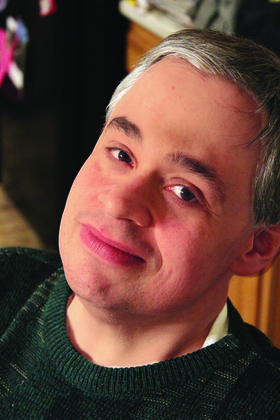 Vincent has fragile X syndrome, the most common heritable cause of intellectual disability. As happens in so many families, we had no real plan for how to take care of Vincent after Janet was gone. So we moved him into our spare bedroom. He weighed more than 340 pounds and had multiple health problems. This changed our lives in many ways, and it changed my perspective. I learned that being economically privileged and having health policy expertise both helps and doesn't help in dealing with a challenge like this. I remember thinking I'm going to financially bleed out with all the new expenses. He was so heavy that we needed to buy new furniture. We also had other new expenses, and he was hospitalized several times. But Medicare, Medicaid and Social Security absolutely saved our family. For all the spartan aspects of Medicaid, it gets the job done and rescued our family. Otherwise we would have been wiped out. The first six months was terrible. But Vincent was gentle and was able to live in our house. He was great with our daughters, who were then 7 and 9, and our daughters did an amazing job with him. My wife Veronica had to drop out of her doctoral program and take care of him. The amount of time, attention, and heartache she has expended to take care of her brother—with all the phone calls, doctor appointments, major and minor emergencies—is pretty staggering. Vincent now lives in a group home. There is a lot of money paid for his medical services. Meanwhile, social services such as weight management and nutrition services that could keep him healthy are drastically underfunded. Chicago has many experts on intellectual disability who could manage his care more effectively if they were empowered to do so. That would hugely benefit us. And it would probably benefit the healthcare system as a whole by preventing hospitalizations. I'm not sure how much I would trust the private Medicaid managed-care plans people like Vincent are typically assigned to. I would be suspicious the plan would limit access to the care that Veronica has carefully arranged for Vincent—without deploying greater resources or expertise. We all want providers to do more for our state's most vulnerable residents. These providers, however, say the state of Illinois owes them a lot of money and underpays them. There's much validity to that complaint. Illinois ranks 47th in the nation for intellectual disability services. Clearly, raising Medicaid reimbursement rates is essential. Beyond that, Illinois must step up its game and provide the kind of social services other states are now providing well. It probably requires a tax increase. It's demoralizing to deal with such a low-functioning state bureaucracy, and to deal with high-functioning bureaucracies at healthcare organizations that don't always treat people well. These organizations have lost faith in the state. They aren't as kind to needy people because they aren't confident they will get paid properly for what they do. As upper-middle-class people, we can provide things for Vincent that his friends and housemates and peers can't get. We take him on vacations. He joins us for dinners and other social occasions. Many of his peers have outlived their family caregivers. Many are stuck living on a $60 monthly allowance that must cover everything from a dental copay to a McDonald's night out. It's painful to see such disparities based on who's connected to family members who can provide these niceties. It's also painful to see the ways Veronica and I are sometimes treated differently and better in the Medicaid office because we are white, professional people. Vincent with Pollack's daughters, Hannah and Rebecca. But Medicaid is a lot better than the stereotype people put on it, particularly in states that have implemented it well. The lives of people with intellectual disabilities have been dramatically improved by Medicaid, home- and community-based service waivers, and by the Americans with Disabilities Act. It's a quiet triumph of U.S. social policy. 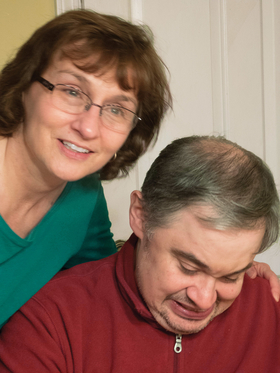 One of the things Medicaid could do is work with families with disabled members to develop transition plans for when the primary caregiver dies. Medicare now pays for end-of-life consultations. Medicaid needs to do that for caregiver transition issues. What I've learned that's most humbling is the role of gender in family caregiving. So many women like my wife put the world on their shoulders to meet their loved ones' needs. Veronica has made many sacrifices over many years. She's been quietly heroic. She's now back in school to become a medical social worker. I believe many other families will benefit from her hard-won experience.